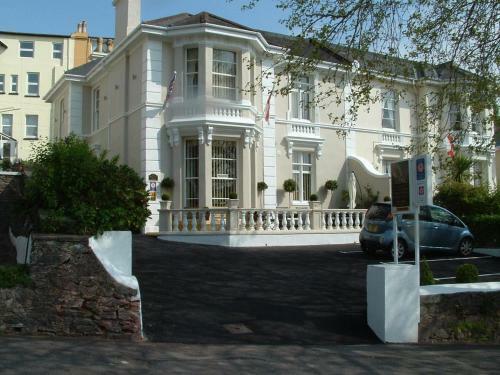 Set in a grand Victorian building, Walnut Lodge has a visit England 4 star gold and breakfast award and is just 10 minutes’ walk from Torquay’s promenade and sandy beach. Free Wi-Fi access, a flat-screen TV and a private bathroom are in each room. Full English breakfasts are served in the dining room, which overlooks the patio. A fridge, tea and coffee making facilities and a hairdryer are included in each elegantly decorated room. A selection of toiletries and bathrobes are provided in every bathroom at Walnut Lodge. The 11th-century Torre Abbey, with its formal gardens and contemporary art gallery, is less than 5 minutes’ walk away. Torquay’s Harbour is within 1 mile of the Walnut Lodge and Torquay’s town centre is a 20-minute walk away. With a pretty patio seating area, guests can enjoy a drink outside during the warmer months. Guests can also relax on the leather sofa in the lounge area.